This is the second article in a series about my lens usage on a specific trip to Shenzhen in China. In the first article, I gave an overview of the distribution and end the article showing the photos taken with the Fujinon 27mm pancake lens. 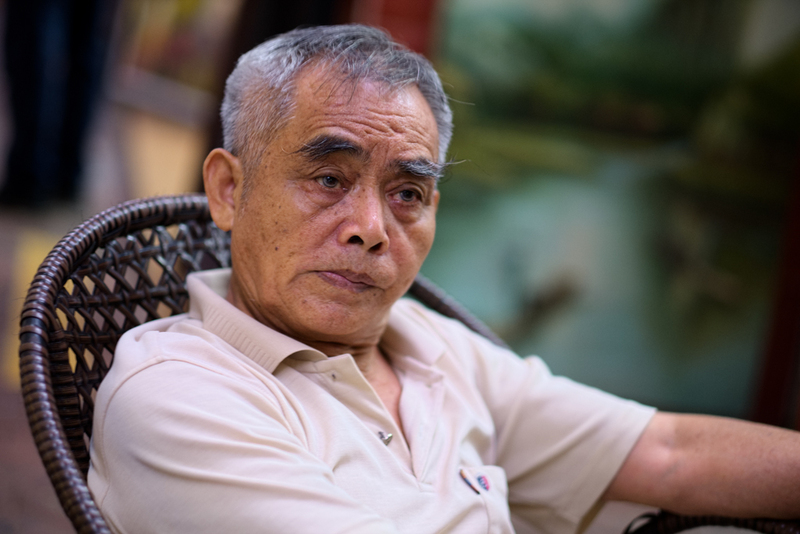 This article concentrates on the photos taken with the 56mm lens. This focal length is an interesting one as it is in the middle of my focal length distribution with four focal lengths used less often and only two (the 27mm and 35mm focal lengths) used more often. 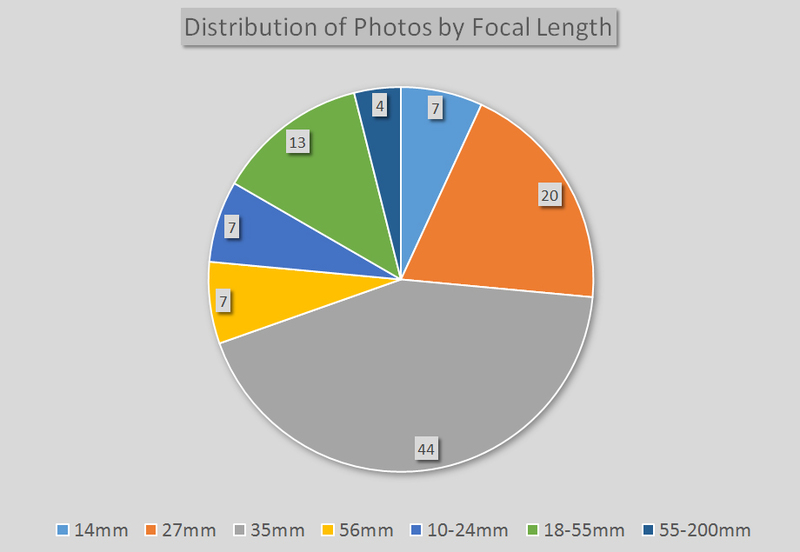 I've included the slide showing the distribution of my focal length usage to remind you of the distribution. If you did not read the previous article, I suggest you first read it before continuing with this article. This lens' usage is also very unique, as the resulting photos are rather street portraits than street photography, although I will still classify them as street photography because the subjects in all these photos were unaware of my presence. An interesting fact is that in all these photos I used a large aperture in order to soften the background - this obviously means that the context/environment is not playing any role in the story of An artist busy with a masterpiece reproduction. Dafen Village. Photo taken with fujinon 56mm F1.2  these photos anymore when viewed on their own. That being said, these photos will form a great photo as part of an essay where some of the other photos were taken with a wider angle of view to include the surroundings. In fact, "The potato seller" is part of such a small essay. All the other photos in that essay were taken using my trusted 35mm F1.4 lens. In a future article, I will share this essay with you. Looking at these photos I realised that in all cases I deliberately changed lenses from the 35mm to the 56mm to get a closer, more personal view. The last observation is that all the photos in this article were taken in one afternoon at Dafen Art Village. I think an introduction to Dafen village will be a good way to end this article. 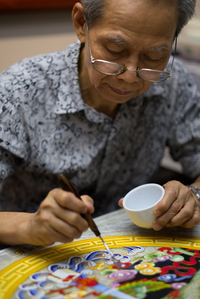 A porcelain glaze artist at Dafen Art Village. Fujifilm X-T1. TV 1/200sec; AV F1.2; ISO400; 56mm In the early 1990s, a group of artists under the leadership of a painter and businessman called Huang Jiang took up residence in this town. They specialised in the making of replicas of oil paintings by masters such as Van Gogh, Dalí, da Vinci and Rembrandt for the international mass market such as hotels, hospitals and other large clients. Dafen Oil Painting Village is most likely the largest mass producer of oil paintings in the world. 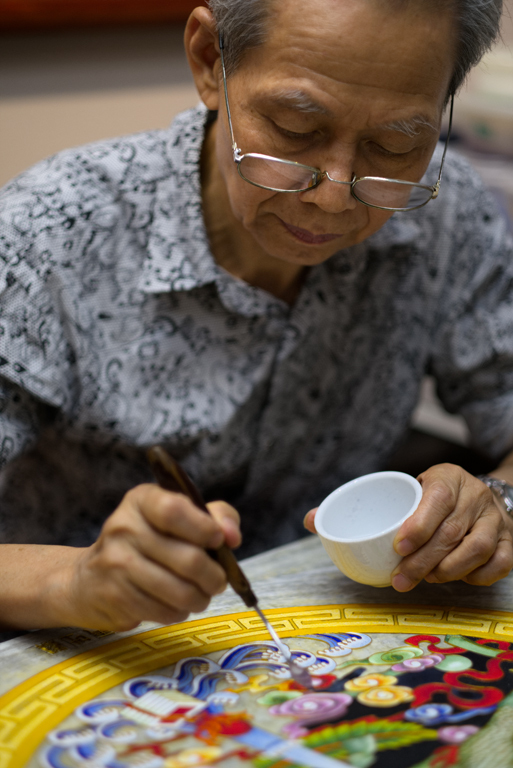 According to the China Daily, these artists manufacture about 60% of the total global volume in knock-off canvases. 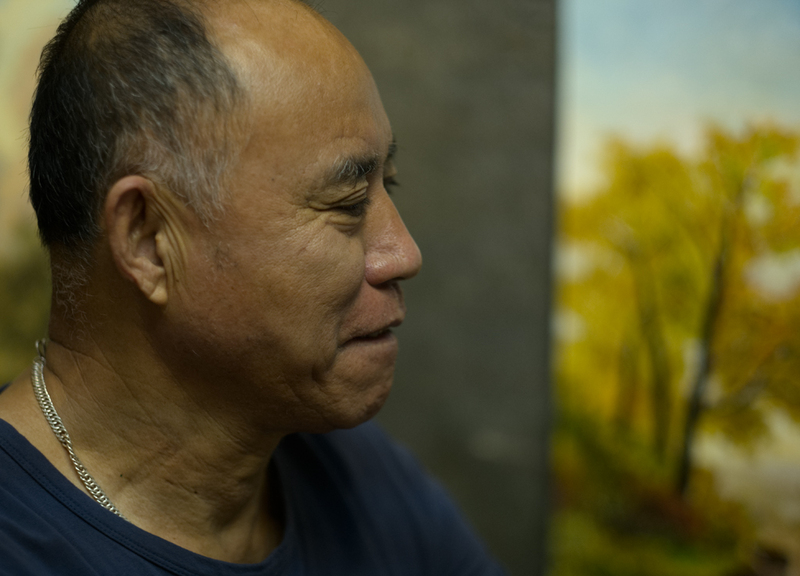 Many of the artists are trained in the required techniques at Chinese art academies. Nowadays they also produce many original works and the price for such an original work will not necessarily be inexpensive. 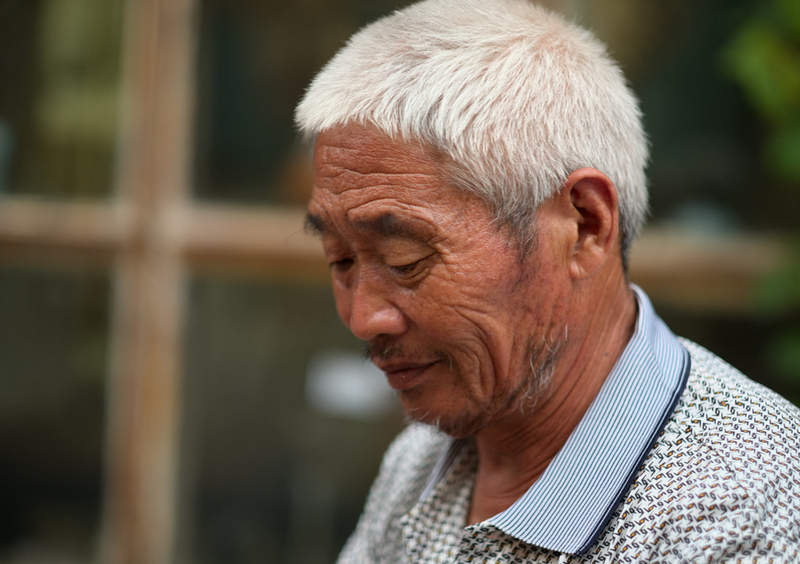 On our Photoparadise 2016 tour, we visited this art village again as it is a great and interesting street photography opportunity – the residents, being artists, are very friendly and there is even a change of you as foreigner becoming the subject for one of their future artworks. My limited knowledge of Chinese already helped me a lot to make the 2016 Dafen visit much more interesting. I will share some of these experiences in a future article.